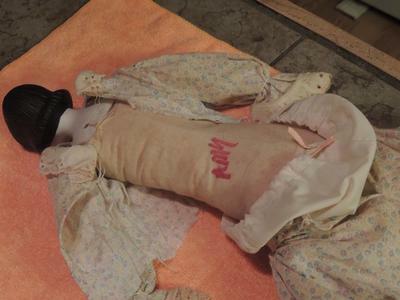 This doll was from a very old estate. The dress appears to be hand stitched with no tag. 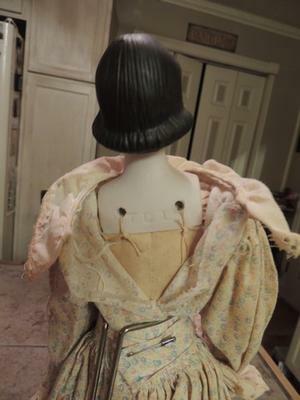 The back of the doll has the initials TDL and I have looked and looked and cannot find who made it and what it would be worth selling for on Ebay. I have uploaded pictures of her and would love any help I could get. Thanks so much! Ps. 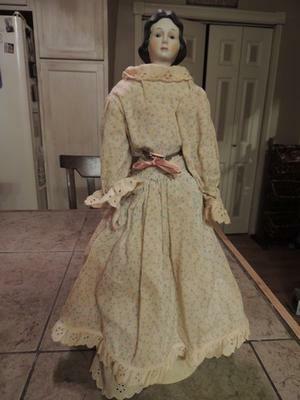 She stands apx 17 - 17 1/2 inches tall. 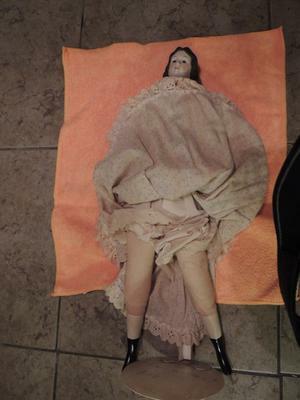 I have the see doll. Have you or anyone else found any info on her?